Audit directory service access → Define → Success. Retention method for security log → Define to Overwrite events as needed. Open ADSI Edit (url2open.com/adsi) → Right-click ADSI Edit → Connect to Default naming context → Right-click DomainDNS object with the name of your domain → Properties → Security (Tab) → Advanced (Button) → Auditing (Tab) → Add Principal "Everyone" → Type "Success" → Applies to "This object and Descendant objects" → Permissions → Select all check boxes by clicking on "Full Control", except the following: Full Control, List Contents, Read all properties, Read permissions → Click "OK". 4662 - An operation was performed on an object (Type: Directory Service Access). 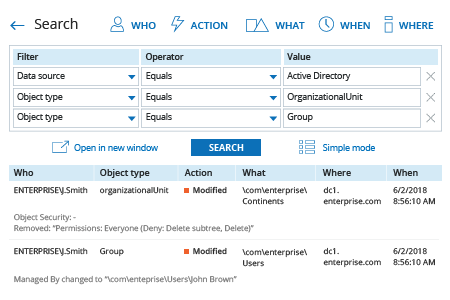 Click the "Search" button and review what changes were made to groups and organizational units. Any unintentional or malicious change to Active Directory organizational units (OUs) can have serious repercussions. For example, if an Active Directory OU containing user accounts is deleted, users will not be able to log in, and those who are already logged in may experience troubles accessing email, file servers and other critical resources. 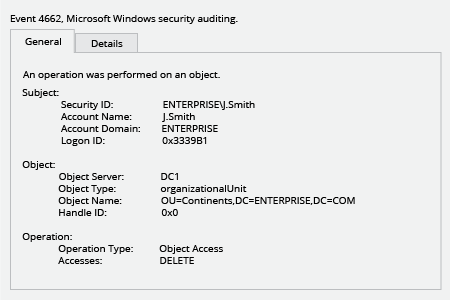 The deletion of a group in Active Directory can result in the similar issues because users often gain important access permissions via group membership. All of these issues disrupt business workflows, hurt productivity and increase pressure on the help desk. 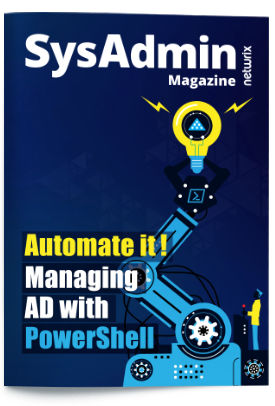 Netwrix Auditor for Active Directory can audit all changes made to groups and OUs in Active Directory and it can quickly reverse unauthorized modifications by restoring Active Directory objects. That is, if an unintentional or malicious change occurs, Netwrix Auditor for Active Directory can quickly revert all configuration settings to a previous state, without any downtime or having to restore from backup. It can also restore the passwords of users that were deleted. In other words, you can quickly turn back the clock on changes to OUs in Active Directory that may indicate a security threat.